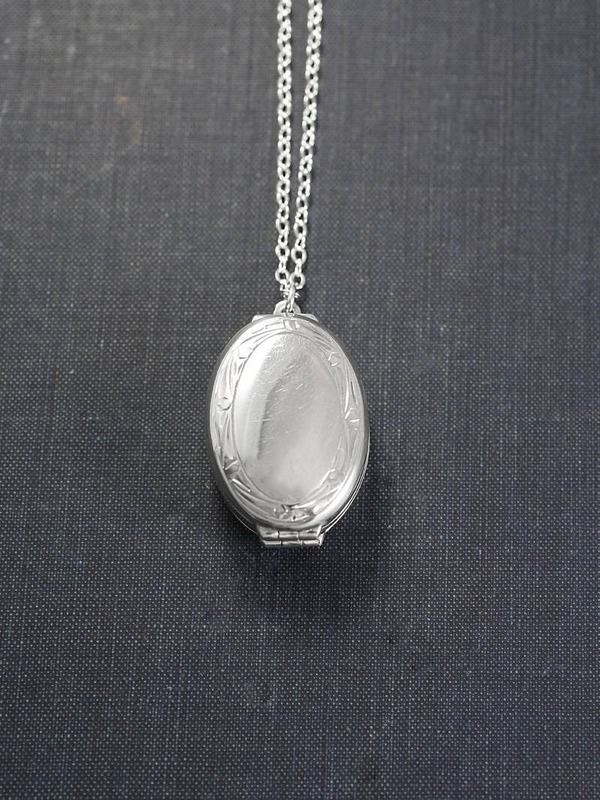 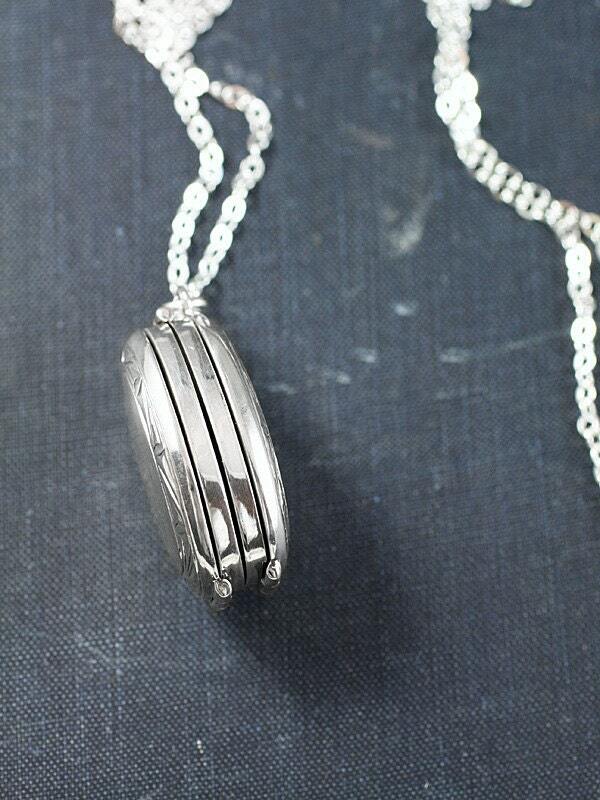 A wonderful oval sterling silver locket is polished smooth with the exception of a simple engraved border on both sides. 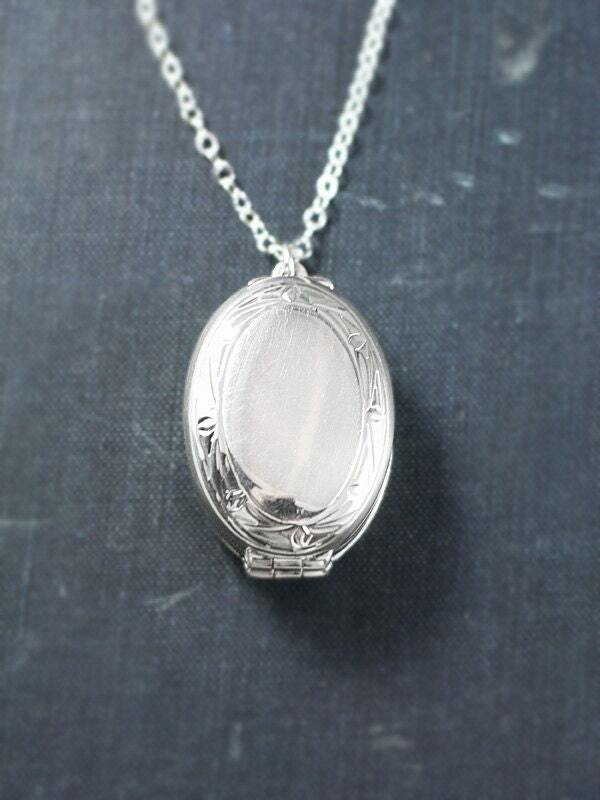 The locket opens to reveal four places ready to have beloved photographs slipped under a set of raised edged frames. 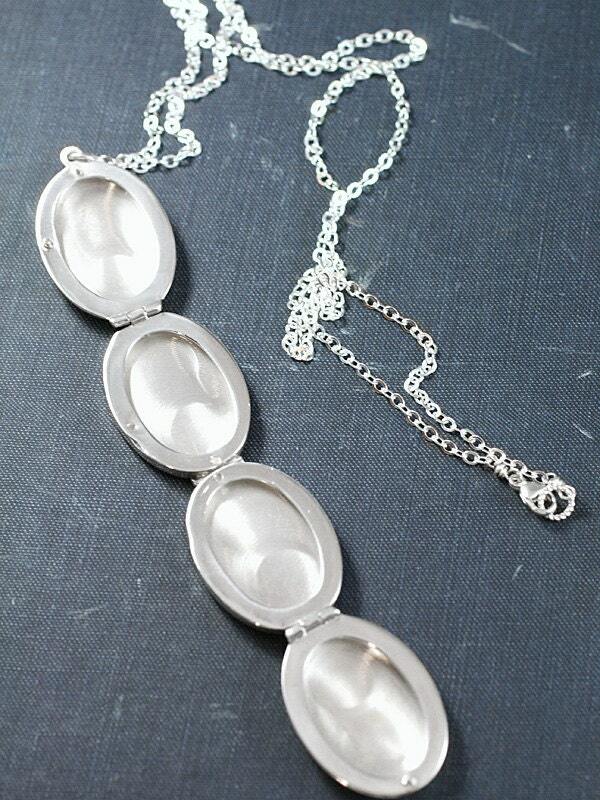 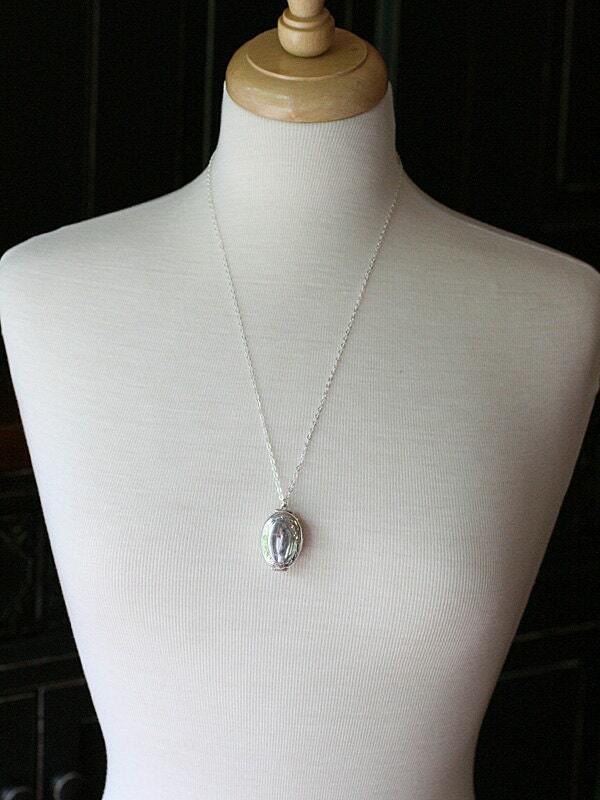 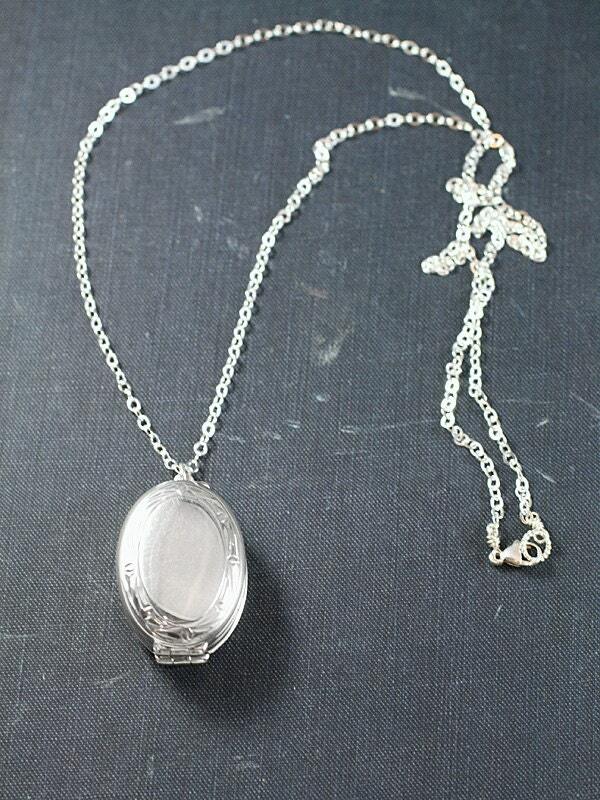 The locket dangles on a sterling silver chain hand finished with a trigger clasp of the same.